I was asked by a friend recently to attend a council meeting with my camera, to record the handing over of a petition by the Binfield Village Protection Society (BVPS), and a submission made by Mr Butcher, representing the group. Blue Mountain golf course is an area of open space that has been protected by a 'covenant', such that developers could not apply to build on the land. This protection was intended to ensure open space was kept between Bracknell and Binfield, and I'm sure many homeowners in the area made their decision to purchase on the basis that this was meant to stand for 125 years from the date of the covenant, 1990. However, Bracknell Forest Borough Council decided that they wanted to remove the covenant, as the golf course has been earmarked as a site for future development. They claim that back in 1990 they didn't know how fast the town would grow, and so naively entered into the agreement. Didn't know how fast the town would grow? What are we paying them to do? And if they weren't 100% sure, why agree to the covenant? Was it simply to make the town more attractive, until the new housing stock had all been sold? Was it to increase the value of those new properties, and thereby increasing council tax revenue, when in reality they knew they'd be breaking this promise less than one fifth of the way into the agreement? Why did they not have contingency plans, should the town grow faster than their estimates? What are we paying them for, if not for the above? Now I'm no legal eagle - and in all honesty, I wouldn't want to be one of those parasites - but if I make a promise to someone, and put it in writing, then I expect to be held to that promise. Not BFBC though. The problem is, the council are both parties (they signed it, and they can rescind it), and have little regard for the impact their broken promises will have on the residents in the area. Arrogance and contempt like this is common it seems. Interestingly, I phoned the council the day after and asked if I could change the agreement I have with them to pay council tax on the basis that when I agreed to start paying it, I wasn't aware of how ineffective they are, but they were reluctant to play ball. So in an effort to demonstrate what a joke the proceedings were, how three minutes is the most a member of the public can speak for even on a topic that affects this many residents (thousands), and how little interest in seeking the views of the residents the council members are, take a look at the video. It's quite long, but I've kept it unedited for the benefit of the BVPS. I sincerely hope that someone with a legal bent gets onto this, and takes the council to the cleaners. If we have local government that wilfully rips up agreements it has made with it's residents against their wishes, then really they're not a council at all - they're a dictatorship. When the people fear the government, that's tyranny. When the government fear the people, that's democracy. Spotted this on a recent visit to the petrol station at Tesco's. Police contempt for the public is well demonstrated here. Why park a short distance from the front door and leave spaces for shoppers who might have heavy bags, when you can show the public how little you care by swinging the van in across the nearest three spaces to the door, get out leaving the lights on, and do your shopping? 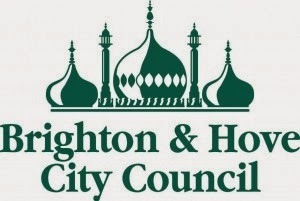 Just a quick post to let you know of two recent successes - a £200 cheque from Confused.com for selling my email address without my consent, and the Brighton and Hove parking ticket cancelled on appeal. Well, thanks for making your position clear, A Lauder! Now here's my position, repeated for clarity. I am happy to pay to park my car, and will always attempt to do so. That's my side of the bargain. Your side is to make sure I am able to pay, by emptying the machines, and not sending out traffic wardens to catch out those who are unable to pay due to your thumbs being stuck up your arse. If you fail on your side of the bargain, then that's your problem, not mine. I will not waste my time and fuel looking for an alternative space or machine if you think treating those who pay your wages with such contempt and arrogance is acceptable. On the Confused.com thing, this was an easy one. I'll post how it's done step-by-step soon, but for simplicity, here's how it works - I have a £10 per year internet domain (e.g. mydomain.com) with a special 'catch-all' email address, where anything can be used before the @ to make an email address (so for example, the same inbox will receive email sent to john@mydomain.com and janet@mydomain.com). When I use online services, I always use the name of the company, then the @mydomain.com bit, so for Confused.com, the email I used when I did a search for cheaper car insurance was 'confused.com@mydomain.com'. Now, when they go ahead and sell your email address without your consent, chances are you'll never know because you can't tell where the senders of the spam in your inbox got your email address from. But if you use a unique email address for each online service you use, when they sell that address, it's easy to tell - so when I received a spam email from BT trying to sell me broadband, it came through addressed to 'confused.com@mydomain.com' - jackpot, they've sold my details! A brief complaint to the Information Commissioners Office resulted in them being found at fault and viola, £200 cheque in the post!